Home » aircraft carrier , beta. 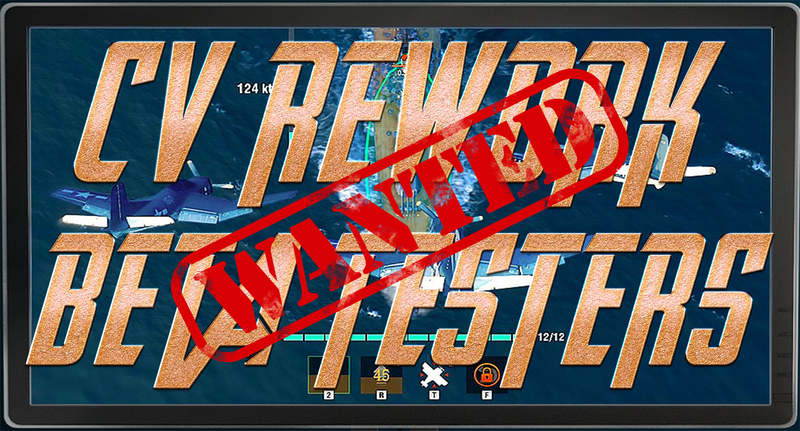 , cv , media , rework , testers , video , world of warships » World of Warships Aircraft Carriers (CV) Rework: Beta Test Sign-up and Check out the Changes! 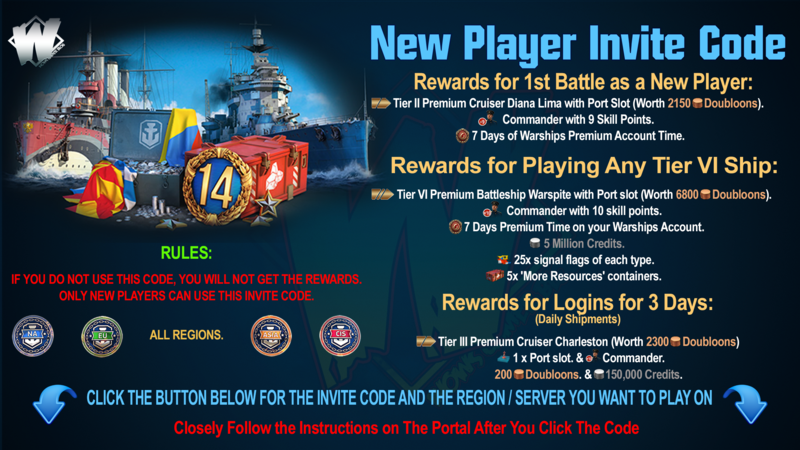 World of Warships Aircraft Carriers (CV) Rework: Beta Test Sign-up and Check out the Changes! Aircraft Carriers (CV) Rework: Beta Test Sign-up and Check out the Changes! Test participants will have a chance to check out the preliminary version of updated aircraft carriers, their initial balance settings, as well as revised commander skills and upgrades. You will also be able to test the updated AA defense mechanics from the perspective of ships that oppose the aircraft carriers in the game. 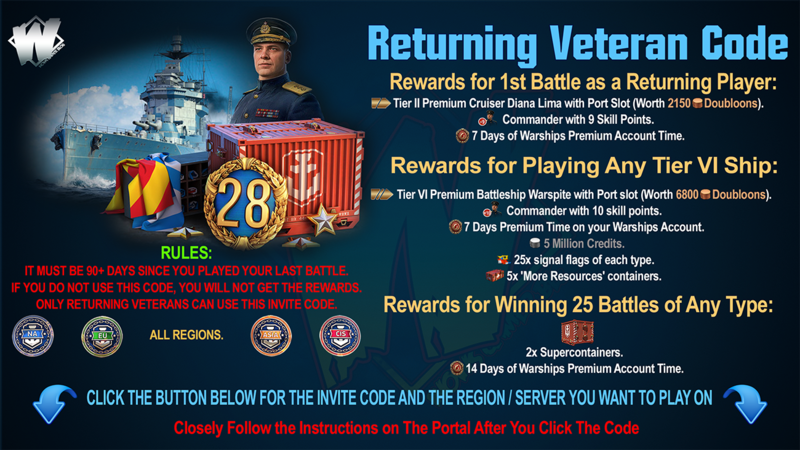 The test's goal is to verify that the new game process will be favored by most players, fix some drawbacks and mistakes, adjust the balance, and prepare the final version of the new iteration of aircraft carriers. Click the button below to Participate. We will invite various groups of players during different phases of the test. We will try our best to grant access to everyone, but we cannot guarantee it due to unpredictable technical limitations that may appear during the test. In order to participate, you will need to download a special test client. We will send all related information, as well as login credentials and special forms to the email addresses linked to player accounts. We will keep you informed about all updates, arrange a special stream and publish a number of articles containing all the details, explanations and answers to frequently asked questions. Updated aircraft carriers have every chance of becoming the most significant change in the game since its release. We understand that this is a very exciting moment, but some of you might also be anxious of the associated risks. However, we are sure that everything will be fine thanks to your support, and that World of Warships will become better for all players, irrespective of which ship type they prefer. Important! The Beta Test client will only be available in English. All mails and questionnaires that will be sent to the test participants will also be in English. Thank you for your understanding.